Crossover is open daily, Monday through Friday, to serve clients in need of food, clothing, personal hygiene items and household items. Clients are those facing hardships and are referred to Crossover by many qualifying organizations in Flint and Genesee County. These referring agencies include but are not limited to Shelter of Flint - One Stop, Hope Network, My Brother's Keeper, DHHS, Genesee Health Systems, the Red Cross, Love INC, and many more. Food is provided once every 30 days. 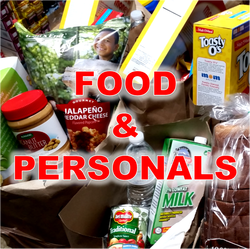 Personal hygiene items are provided once every 60 days. Clients must have a valid referral and proof of children living in their homes. 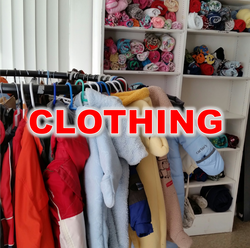 Clients can shop for clothing once every 60 days. Clients must have a valid referral and proof of children living in their homes. 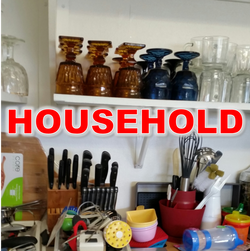 Household items are provided as a one time service. Clients must have a valid referral, proof of children living in their homes, and a lease showing they have moved within the last 30 days. From the North:Take I-75 South to I-69 East towards Port Huron. Exit at Saginaw Street. At the first light turn left on S. Grand Traverse St. Turn left on Court St. Downtown Outreach Ministries: Crossover is located on the right hand side of the street next to Anthony’s Florist. From the South:Take I-75 North to I-69 East towards Port Huron. Exit at Saginaw Street. At the first light turn left on S. Grand Traverse St. Turn left on Court St. Downtown Outreach Ministries: Crossover is located on the right hand side of the street next to Anthony’s Florist. From the West:Take I-69 East towards Port Huron. Exit at Saginaw Street. At the first light turn left on S. Grand Traverse St. Turn left on Court St. Downtown Outreach Ministries: Crossover is located on the right hand side of the street next to Anthony’s Florist. ​From the East:Take I-69 West towards Lansing. Exit at Saginaw Street. Turn right on Saginaw Street. At the second light turn left on Court St. Downtown Outreach Ministries: Crossover is located on the right hand side of the street next to Anthony’s Florist.